Every now and then when using one of the many sites that us reviewers use for codes and what not, I come across a game that I've never heard of anywhere else on the Internet. Sure, half the time this would scream out "review me at your own peril", but now and again I've come across some great games when going in blind and not knowing anything at all about it. The Final Stand was one of those games that interested me because of how it looked in images I saw when finding it on this press site, looking all retro, it had my head telling me I needed to give it a look. The Final Station is like two games in one, with one side seeing you (sort of) controlling a train, with the main portion of the game being your character exploring stations you come across while on your travels. There is a story told to you as you go along to explain the events you see going on around you, with bits of story told via interactions with other characters, but also smaller pieces found littered in tons of places when exploring the stations. 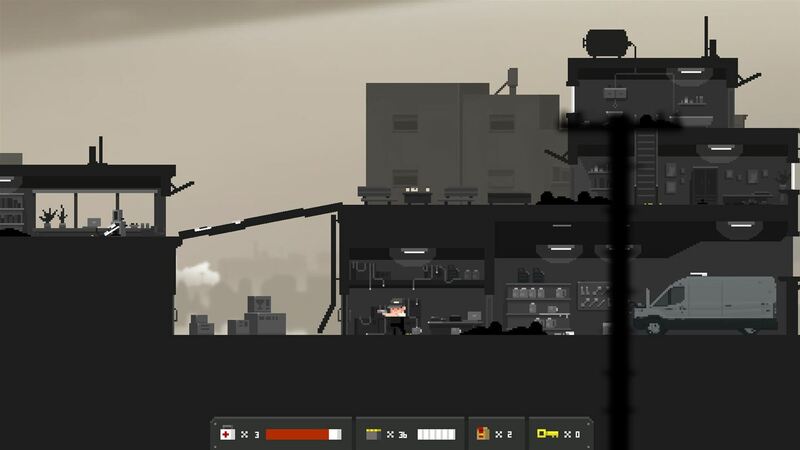 Stations are where the action takes place, with you having to explore these levels for a code to remove the blockers that keep your train trapped in the station. Of course, you're not just going to walk around these levels without a care in the world, at least later in the game anyway, as there are things that want to kill you while you do. Shoot them with your hard to come by bullets, throw some furniture, or use your charged-up melee punch to try and take out these black scary looking characters. It's here where I started to lose my interest with the game a little if I'm honest, as the combat system is very basic and very clunky when facing some of the quicker enemies. Death becomes an easy thing to happen, and while the save system is very generous, it can get to a point where you just start to get fed up with it. 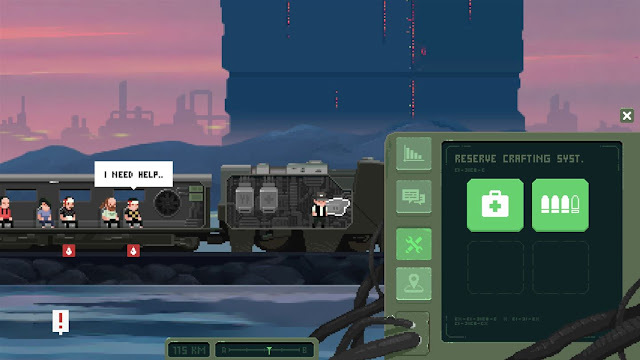 The train portions of the game are much more relaxed, and see you not only having to pull and press certain levers to keep the train going, but also having to feed and give first aid to passengers that you pick up along the way. Picking up things when exploring the stations allow you to do this, and while you're making them comfortable on their journey you do see a bit of text chat going on between those on the train. This would be great if you mind wasn't focussed on keeping the train ticking along, as while it's not hectic, your mind is of course elsewhere while these characters chat away. 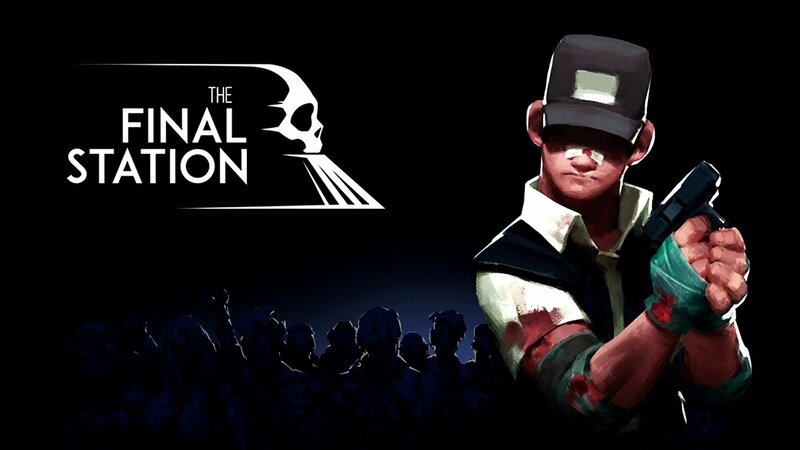 Overall: The Final Station is a unique take on the overused "Zombie going to eat you format", but nothing to the point where it makes it a must-buy game. Worth checking out if you enjoyed games such as This War of Mine. A demo for the game is available if you want to check it out. Click here to download it.